This recipe is one of the simplest, and if you get your kids to help, it’s fun too! My recipe is makes just the basic caramel-covered apple, but you can up the WOW! factor by adding toppings to the freshly dipped apples. Rinse the apples; dry them completely (or else the caramel sauce won't stick to them). Insert a popsicle stick into each apple. Place the unwrapped caramels and milk into a small sauce pan over medium heat. Stir the mixture constantly until the caramels melt. Let the caramel sauce cool for about 2 minutes before dipping the apples. 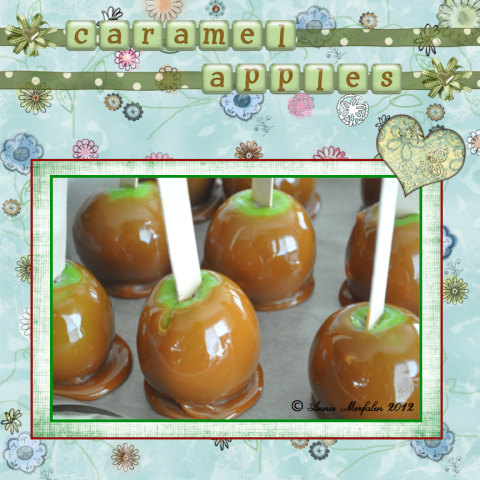 Holding the popsicle stick, dip the apple into the caramel sauce, covering it almost completely. Let the excess caramel sauce drip into the pan then place onto the parchment paper to set. If adding additional toppings, do so immediately after dipping the apples into the caramel sauce then place onto the parchment paper.